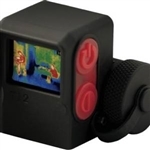 Home > Thermal Imaging Systems New! 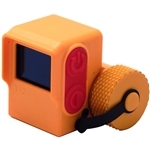 Mobile Thermal Imaging Systems Thermal Drones New! Thermal Imaging Cameras Thermal Imaging Monoculars New! Check Out Our Top Selling Binoculars! Torrey Pines T 12-N Mini Thermal Imager New! Torrey Pines T 12-M Mini Thermal Imager New! Leupold LTO-Tracker Thermal Monocular New! Torrey Pines T 12-V Mini Thermal Imager New! Torrey Pines T 12-FN Mini Thermal Imager New! Torrey Pines T 12-W Mini Thermal Imager New!